Beauty Green Salon & Extensions a.k.a Bgreen Salwhat is an abstract in an essay	statement abouton is an eco-conscious hairdressing salon that prides itself on its creative and technical prowess within a minimalist yet sophisticated ambiance. 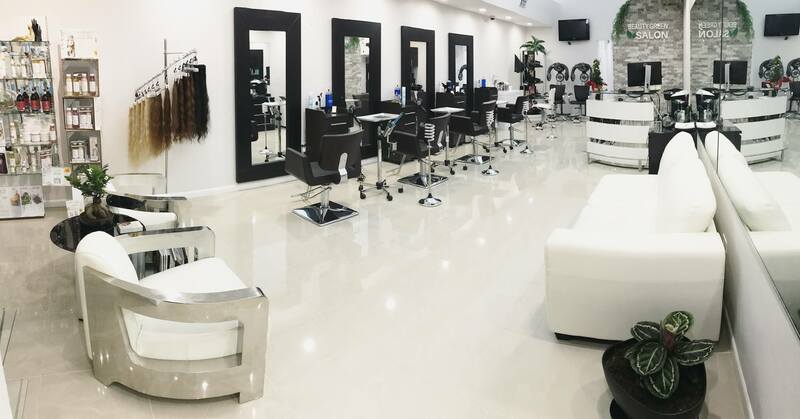 We specialize in making people love their hair and after years of service to our loyal clientele, we are proud to open our doors in the Coral Gables area. We get asked this a lot. Is it Beauty Green or Be green or Bgreen? We like the different choices that result from this; our message and vision is, all of them! Through beauty we strive to influence a better quality of life in your world. We are conscious of the harmful effects many toxic ingredients found in most commercial beauty products can have on your health and that of our ecosystem. With that in mind we strive to contribute to the other side of the coin by offering services and products that not only enhance your beauty and unique style but also care for your health and that of our planet. But hey, for all intents and official purposes, we are Beauty Green Salon & Extensions! Since 2008 our team has been serving the beauty industry. The vision of Beauty Green has been gradually building since then as we have continued to serve and meet the hairdressing needs of our loyal South Floridian clientele. In 2014 one of our Master Stylist, Ysdaly Thielen, underwent surgery after Doctors discovered unwanted cells in her uterus. After a full recovery Beauty Green’s vision achieved its final direction of growth and accelerated the process of pursuing a more holistic approach to beauty and new standards of sustainability to continue sharing what we do! That experience and the guidance of her daughter, whom is also part of our team and an Acupuncture and Functional Medicine student, influenced our master stylist and the rest of our wonderful team to embark on a journey that continues to evolve. Since then Beauty Green Salon & Extensions has embodied passionate commitment to our clients and harbors a lovely space for our team to share their creative passion in a healthier and more eco-conscious way! You will always leave our salon loving your hair. Beauty Green Salon & Extensions always makes sure to consult thoroughly, listen carefully, and perform all services efficiently, in a timely manner and within your budget.